Business description - Hindustan Aeronautics is engaged in the design, development, manufacture, repair, overhaul, upgrade and servicing of a wide range of products including, aircraft, helicopters, aero-engines, avionics, accessories and aerospace structures. Its operations are organised into five complexes, namely the Bangalore Complex, MiG Complex, Helicopter Complex, Accessories Complex, and Design Complex, which together include 20 production divisions and 11 research and design centres (R&D Centres) located across India. Hindustan Aeronautics rely on indigenous research as well as enter into technology transfer and licence agreements to manufacture its products. In addition, it has entered into 13 commercial joint ventures to grow operations. The company was conferred with the Navratna status by the GoI in June 2007 which provides it with strategic and operational autonomy and enhanced powers to make prompt investment decisions, subject to an overall investment ceiling set by the GoI. Hindustan Aeronautics signs a memorandum of understanding with the MoD on a yearly basis, which outlines various targeted performance parameters for a given year. The company has also received an "Excellent" rating from the GoI every year from the Financial Years 2002 to 2016. FY2013 and FY2014 figures are based on Indian GAAP accounting standards. Financial figures for subsequent years are based on Indian Accounting Standards (Ind-AS). 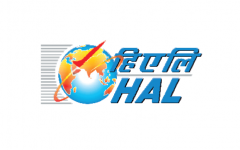 Hindustan Aeronautics IPO allotment status is now available on Karvy Computershare’s website. Click on this link to get allotment status. Shares have been allotted today @1190 (1215-25). Shares have been allotted @1190 (1215-25). My intuition was correct. Avoid. Buyback done by Govt of India at price less than 400/- demanding 1200/- plus not acceptable. Do you have any education on valuation?????? having 68K Cr. order book. good ipo, a good bet. HAL ipo good fundamentally. But i don’t think so valuation so high. Some listing gain definately. But not huge gain. So aply this ipo. How good is the fundamentals of the company? Can we expect good listing gains?? How good is the fundamental of the company? Can we expect good listing gains? ?